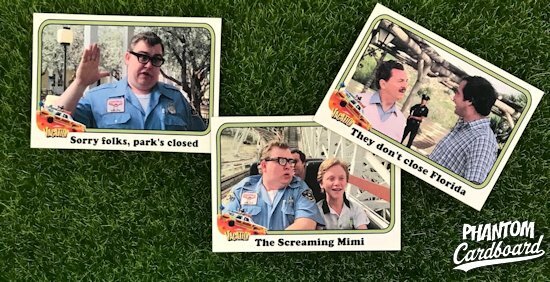 Phantom Cardboard: Sorry Folks, Park's Closed! 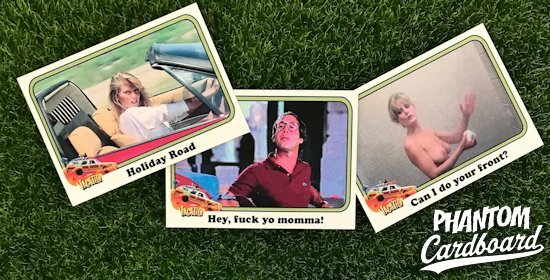 I actually like all of the first 4 Vacation movies. 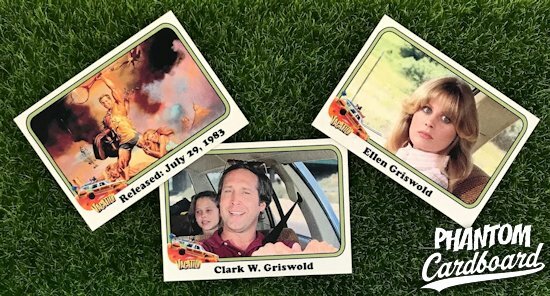 My favorite of course are the first one and Christmas Vacation. 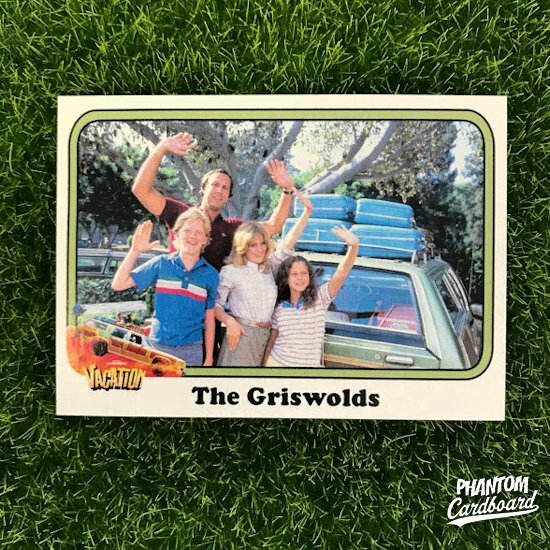 The one I favor is usually the one I've seen most recently, or if it's around the holidays Christmas Vacation get the nod by default, which I previously created a mini-set for. 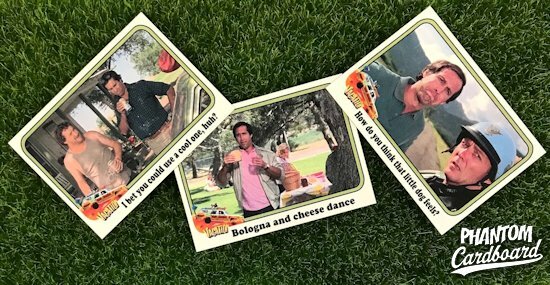 I'm finding out I just have a card making thing for most things Chevy Chase. 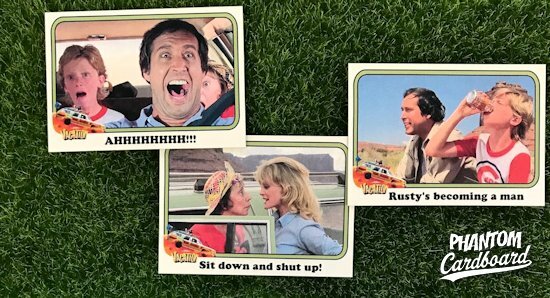 Some time last month I popped in my VHS copy of 1983's National Lampoon's Vacation and was inspired to do a mini card set. This is my new largest mini-set totaling 25 cards. 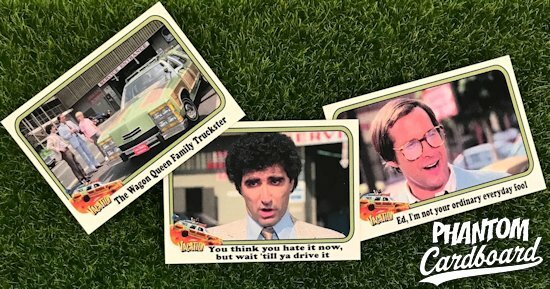 I keep inching closer to a regular size set although I can't see myself doing a full 88 card sets, which seemed to be the magic number for non-sport card sets back in the day. 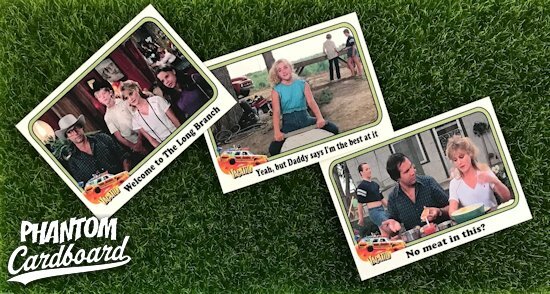 In the 25 cards that this mini-set spans I feel it does a decent job of spanning the films key plot moments. 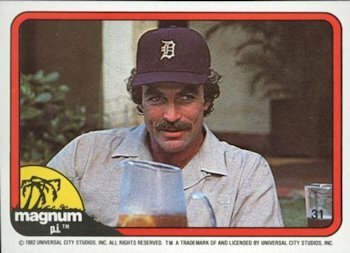 For this set I went with a design inspired by the 1983 Donruss Magnum P.I. set. I modified it a bit by squeezing the frame's height a bit so I could add some text below the picture. I used a font I thought had a good "Wally World" feel to it. Another touch was to make the frame a nice "metallic pea" color. Pick up a set of your own in the PCb Card Shop.